I have always worried about my teeth, and have always struggled with issues no matter how much I look after them or how many times I brush them in a day and it does get me down and it’s certainly the part of me that I hate the most. I have always felt you should invest as much as you can in your teeth. Dental work isn’t cheap and can turn out very expensive if not looked after properly, not to mention pretty unpleasant at times! A little time and money spent now, could prevent a lot of pain, and even more money spent, later on. It’s also reassuring to know you are doing the best for your teeth. You only get one adult set, after all – Isn’t that enough to convince you?! 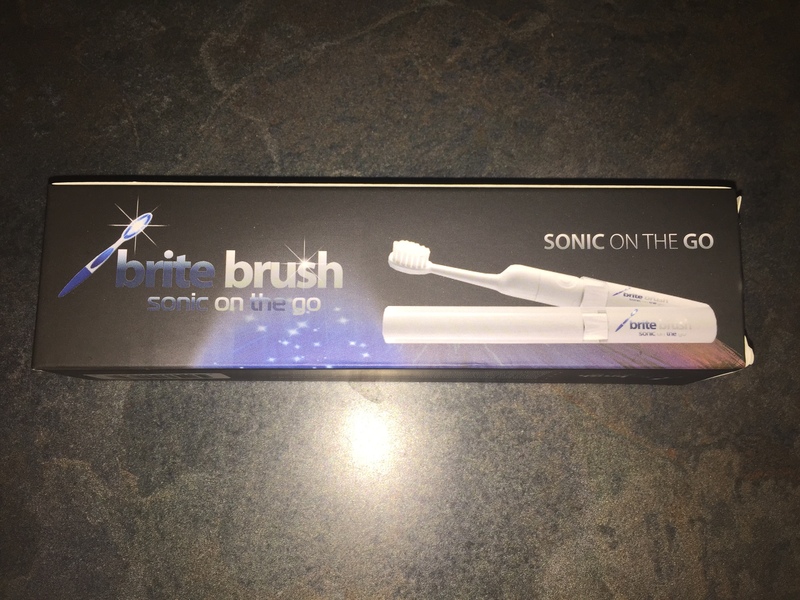 When I was offered this “brite brush, sonic on the go” pocket sized toothbrush to review from Brite brush I immediately said yes, especially now I have braces. It arrived a few weeks after completing the order, it arrived in a rather large box for the size of box that the product actually came in. When it arrived I couldn’t wait to open it and get it out and see what it looked liked and what colour I had been sent. From just looking at it you wouldn’t know it was a toothbrush, maybe a pop our blusher brush, but that’s what I love about it is hidden away, kept clean and hygenic in a case of its own. It is great to just pop in my handbag, it fits perfectly in my smallest bag and being able to just carry it around and use it whenever I need. All it requires is 1 x AAA battery to work and the bottom easily twists off to replace it. * We were sent this product free of charge for the purpose of the review, however all thoughts and opinions are my own.